As per normal, I usually like to write a Trip Summary to encompass the trip over-all. Being my third time to Istanbul, we decided to make this one a more relaxed trip. I really liked this as we both needed a rest and some time at a slower pace. With my in-laws having the summer home on the island, Buyukada, helped make this happen. During the first week, there were a few days where we just lazed around. 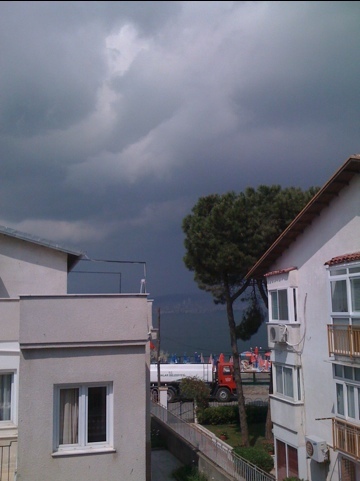 There were a few afternoons where I sat out on the terrace over-looking the Marmara Sea reading a book. I haven’t done this in my entire life – just spent an afternoon reading! It was so great!! I really enjoyed it. During our trip, I read three books!! The e-books on my iPhone really helped make this possible though. When everything is packed onto the iPhone, it’s easy and compact which makes it easy to read anywhere. 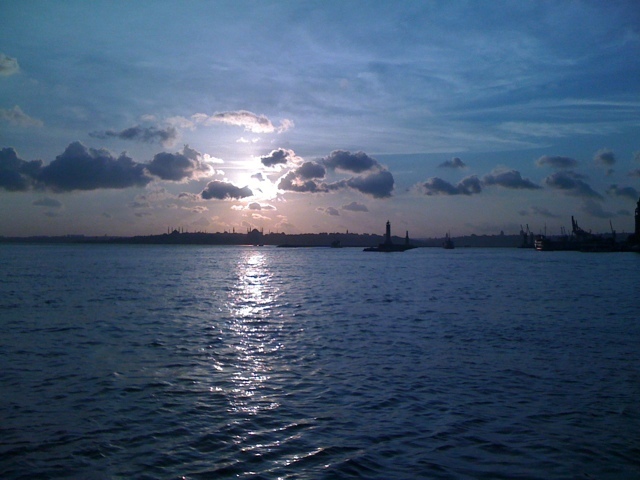 I read on the ferry, sea bus, and some other moments where it was convenient to. Generally, people are friendly and hospitable. I particularly like how many things can be delivered. I think it is so cool to see motorbikes with McDonalds, Burger King, Dominos Pizza etc on them zipping through traffic to deliver fast food. We even saw in the city how vendors would walk their food deliveries down the street to their customers. Staying on the island was great. While the boat rides to and from the island took some time, it was nice to travel across the water instead of being crammed in a car stuck in congested traffic. I enjoy boats rides in general so it was a pleasure. It also gave me some time to read more. Taxi’s and shared Taxi’s are yellow there. So finding one is easy and the fares are cheaper than here. The vast history of Istanbul is so intriguing. One evening we were returning on the sea bus during sun set. The sun was setting behind the European side and we had a great view of the mosques and other structures that made a great horizon pattern, in a silhouette with the sunset. It just had so much character instead of most modern cities that have squared column buildings. The weather over-all was nice. Hardly any rain. We just had some in the final days there. While it got pretty hot and humid between noon and 4pm, it would cool down at night. So the mornings and evenings would also be cool as they ramped up and down from the daytime highs. So, even though it got pretty hot in the middle of the day there was some relief to begin it and end the day. First and foremost is the cigarette smoking. Turkey is starting to do what we’ve already done. Smoking is not allowed in closed areas but is allowed in open areas. This kind of made it tough for me sitting out on the many patios we enjoyed (or tried to) a meal. Since many people still smoke in Turkey, it was a tough adjustment. Also annoying was how there seemed to be a real lack of rule following. The boats all had no smoking signs and even played a recording in english and turkish but people still smoked on the deck of the boat. What made it bad was that they’d leave the door open so the breeze would carry it in and get trapped. The boat crew showed no interest in enforcing the rules so of course, nobody is going to follow it. Along the market stretches on the island there were clear signs that bikes were not permitted. But of course, there were many people still riding their bikes through the crowds of people walking. Actually the first thing one of the Dino’s friends said to me when we first arrived is to be careful of the bikes. They zip around everywhere and there were a few close calls but fortunately, all ended fine. It was so annoying I started to yell at people riding their bikes in these areas but since they didn’t understand english …and they didn’t care ….it didn’t make a difference. But still…it felt kinda good to yell and get it out 🙂 . I had requested to eat fish at a good place before we left. So, on our last night there, Buket and Aydin took us to this nice place off the sea for a really nice fish meal. I’m not even sure what type of fish it was……if anyone over there is still reading this and knows, please post a reply with the type of fish…please and thank you! We had such a great time! We had Raki and fish …..and some great appetizers. It was one of the best outside meals we had during our stay. Thank you Buket and Aydin for making our last night there an excellent one!! All complete with flashing lights and smashing plates (you’ll understand if you were there). 🙂 Aydin…..as discussed, we’ll be awaiting your visit to Canada. The best meals were the home cooked ones!! All of them!! Special thank you to mother-in law (anne in law) Ruhat, Ayse and Dr. Aydin Arici and Nukhet and Faik for your delicious meals. Mommy Ruhat provided our home away from home….thank you very much for all your efforts looking after us!! We’re home!! 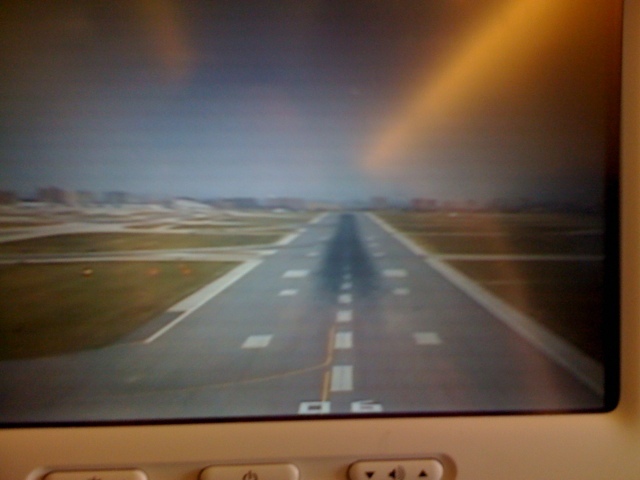 We touched down safely at 2:30pm Toronto time. It made for a long haul home. It all began at 6am Istanbul time/11pm Toronto time. We first took a 45min boat trip from the island to Kabatas. We were then met by the Dino’s dear friend who then drove us the 35min commute to the airport. There’s a security check just inside the doors in Turkey. There’s another one at the gate. Our flight was 9 hours and 50 minutes and the plane was full coming back. This time the Turkish Airline service was not as good and conduct of the passengers were ridiculous. While boarding there was one passenger taking her sweet time putting her bags above and having a nice chat with the useless stewardess. Meanwhile there’s a line of us waiting. Then, our first flight attendant did not understand “soda water” and Deniz had to tell her in Turkish. Our plane had just touched down in Toronto and everyone wad getting up opening up the overhead luggage compartments. The flight attendants while seated were yelling at people to sit down but I nobody listened. The problem lies with people coming from a certain part of the world where pushing and shoving your way is the way to get around. This one ‘covered’ lady while we’re all waiting to leave the plane started to try and push her way through. This one Canadian lady kindly explained to this lady that she’s in Canada now and there’s no reason to panic. We will all get our turns. This lady would not stop and I tip my had to the Canadian for remaining calm and just repeatedly telling this eager lady to just relax and not make leaving the plane a chaotic experience. She told the lady “you’re in my country now….we don’t push and shove here”. I just kept adding in my two cents agreeing out loud so the others could hear too. It was a great trip, but it’s always nice to come home. There’s no place like home. Here is a picture taken of the nose camera view upon landing. We took a trip into the city today and made a couple of visits to friends of the Dino’s. 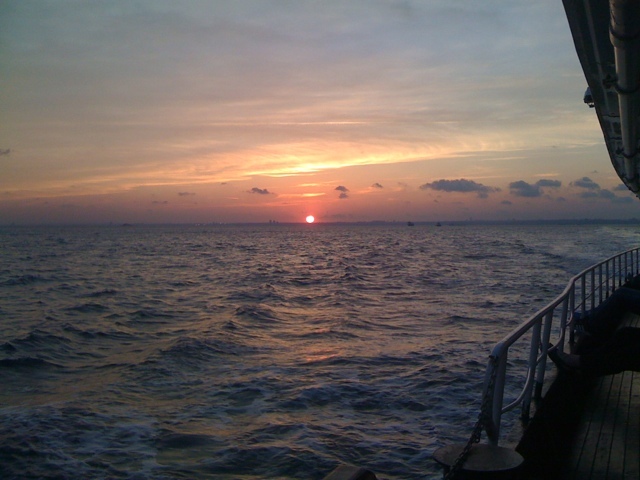 On our way back to the island we saw a really nice sunset. The first one has the silhouette of the city. You can see the points from a couple of mosques. Both are from the ferry boat. When we were in the city earlier today we saw an ATV riding with the morning rush hour traffic down the main strip. How cool is that!!!! 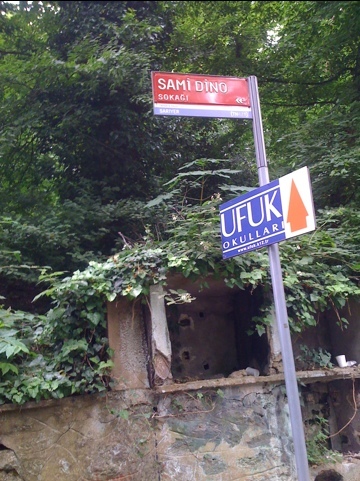 We visited a street on the weekend named after Deniz’ grandfather, Sami Dino. Pretty cool. We had a bit of rain today. Then it cleared momentarily and then got really dark but the storm never came….until later when it was partly sunny, it was also thunder and lightning. Then…..some pretty dark clouds returned. We picked up a magazine guide of Istanbul. Inside it was an article on Buyukada, which is the island where we are staying. Here’s a little history from that article. Buyukada is one of nine islands on the Marmara Sea, 20kms off Istanbul known today as the Prince’s Islands (Adalar in Turkish). Buyukada is the largest of the islands and means “the big island” in Turkish. These islands began with sinister reasons. Dating back to the Byzantine times, unruly princes, deposed monarchs and others who had become vexing for the royal family were exiled to the islands, a tradition that continued under the Ottoman Empire. Over time, the islands lost this unsavory reputation and in the 19th century became a popular summer resort for the city’s large Greek, Jewish and Armenian communities, many of whom continue to summer here today. It was during this period that many of the islands’ lavish villas and mansions were built. Some of these have been preserved or renovated but there are many homes like the ones in the previous post that have been neglected and/or forgotten which are rotting and crumbling. When you compare these old structures to the ones today, there’s no comparison. There was so much character to the older structures. Today’s buildings are pretty plain jane in comparison. It’s such a shame that things have become this way.